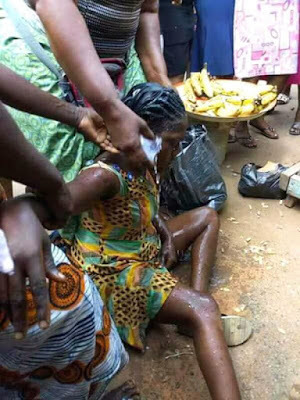 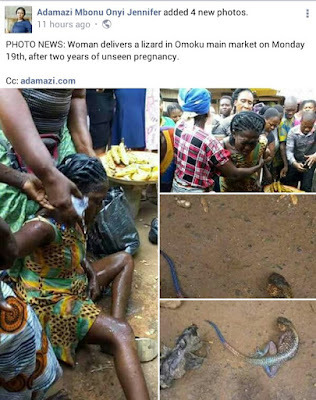 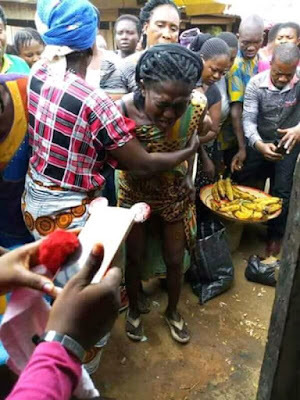 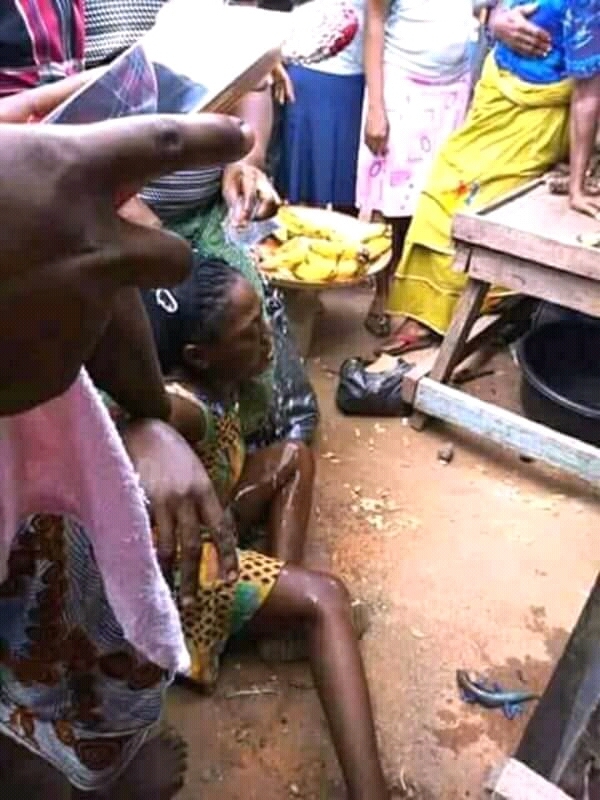 A woman whose name was not revealed has reportedly given birth to a lizard in the very busy Omoku market in Rivers State. 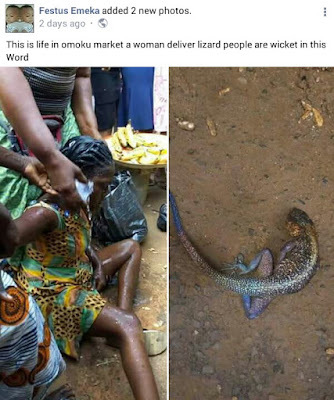 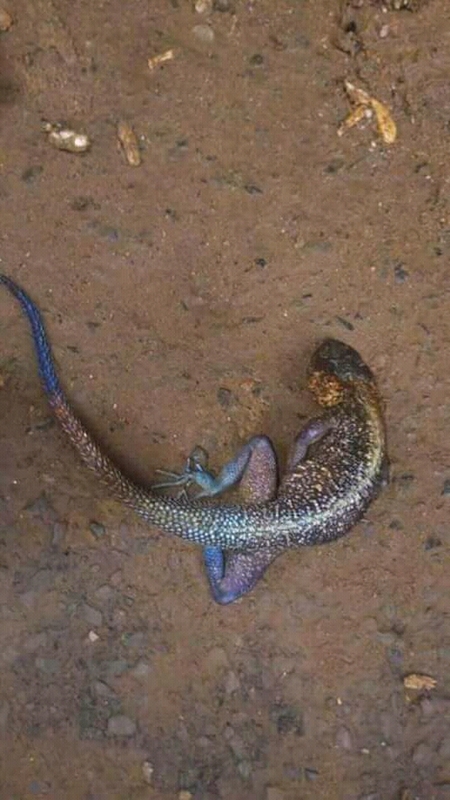 According to multiple online sources who confirmed the story, the woman was said to have carried the pregnancy for two years without knowing she was carrying a lizard. See shocking photos after the cut.